This giveaway is now closed. Congratulations to our winner, Makala Clark! Hey friends! It's giveaway day! And if you are in the market for a brand new pair of glasses or sunglasses and want to save some money, you'll love this! 39DollarGlasses.com is an online retailer for discount glasses. You can find everything here! They sell prescription eye glasses and sunglasses for incredible prices! You can customize brand name plastic glasses or metal glasses in lots of colors. Right now, you can order your own glasses at 10% off using promo code OOPSEY. As you may know, I have had to wear glasses a lot more often lately. My eyes suddenly rejected contacts last summer, and I only had an old pair of glasses. 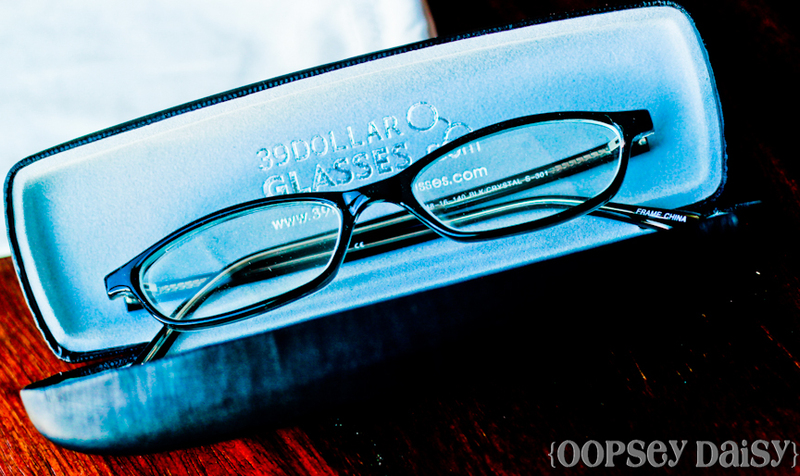 So I was thrilled when 39DollarGlasses offered me a complimentary pair of eyeglasses. However, ordering online was a little tricky for me. Tracking down my current prescription and translating it for the website was nerve-racking for me. Luckily the site offered easy tools for measurement. One of my favorite features of the website was this "SmartFit" face shape tool. This way I could imagine how my face shape would look in each pair of glasses! I wish I could do the same thing for hair cuts! I finally decided on these lovely pair of glasses in black. I loved that I could read the reviews on the glasses before ordering, and the site offered a print-out of the actual size so I could get an idea. It can be a little frazzling to order something as important as prescription eyeglasses without seeing them first! The thing I loved the most... the cost! I customized my frames with scratch-resistant coating, and my cost was still only $68.95! 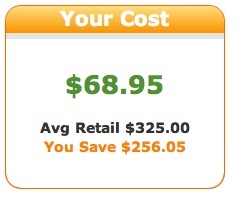 I saved $256.05, and I loved seeing that price tag! Again, this is where I have to show off to Mr. oopsey daisy! In just a week my lovely new specs arrived! Hubby hasn't been around to take pictures of me in them, but I am loving them! * I loved all of the information on the website. * I found the face shape tool very useful! * The case and cleaning cloth were beautiful. * Saving money is always a good thing! * Most glasses are shipped from China, but these glasses are American-made! * On the website, I found several links that repeatedly showed up as "bad gateways." Ugh. * My lenses are much thicker than any lenses I have ever had on any glasses. Interesting. * I am always more comfortable with a custom fitting at an eye doctor. I was on pins and needles waiting for these glasses to arrive! U.S. and Canada residents only, please! 1. "Like" 39DollarGlasses.com on Facebook and let me know in a comment. You receive a $15 coupon just for liking them on Facebook! Please note that this company prefers that you don't leave any comments on their page in response to the giveaway. 2. Let me know how you're following my blog! Google Friend Connect is disappearing, so if you are were following me there, I don't want to lose you! Instead, you can subscribe via e-mail, google reader, RSS feed, Google Plus, or Facebook. Leave a comment letting me know how you follow! This giveaway will end next Wednesday, February 15 at midnight. Giveaway winner will be announced via Facebook and Twitter and e-mailed directly. Please read my disclosure statement. Yay! I am excited about this! I am getting new glasses at the end of this month after being in the same pair for 5 years. I can’t wait! I liked 39dollarglasses on facebook and I already follow your amazing blog! My dad could REALLY use a new pair, even though he doesn’t want to spend the money. This would be perfect for him! I liked 39 dollar glasses on FB. 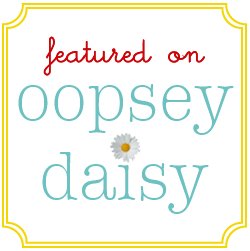 I follow OopseyDaisy using google reader! Love your blog – and could really use some new glasses! My eyes are much different after baby no.5 I’ve noticed! Thanks again! Following you now! My hubby needs some new glasses! I like 39DollarGlasses on fb. I like 39DollarGlasses.com on Facebook! I need new glasses SO badly. I just broke mine. This would be quite helpful! I’m subscribed via e-mail and Facebook! I liked 39 Dollar Glasses on FB! I have been looking for some aviator sunglasses for my hubby and will be ordering them soon! Thank you so much for introducing them!!! I follow your amazing page through email! I think I follow with google reader. I’m following your blog in my google reader, and I’d love to win the 39Dollarglasses.com giveaway, for my son. He needs glasses so he can get his license to drive. He’s been measured, and we choose his new glasses in the cart ready to purchase! Thanks. I just lost the nose piece to my glasses so a new pair would be most welcome. Thanks for the opportunity. I could really use some new glasses. I follow OD via google reader. All I know is that you are in my blogger dashboard. I ”Like” 39DollarGlasses.com on Facebook! I tweeted about this amazing giveaway! Hoping to win, my husband really needs a new pair of glasses! I follow you on my RSS feeder on my iPad. Hi! 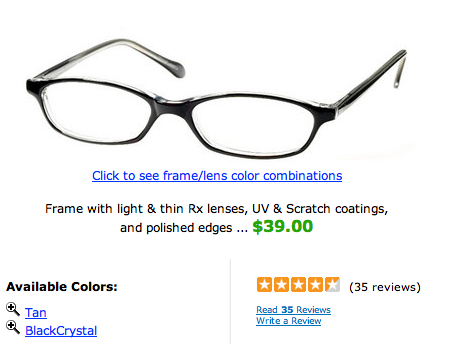 Just “liked” 39DollarGlasses on facebook! I don’t “follow’ you, I just check your website everyday. LOVE IT!!! 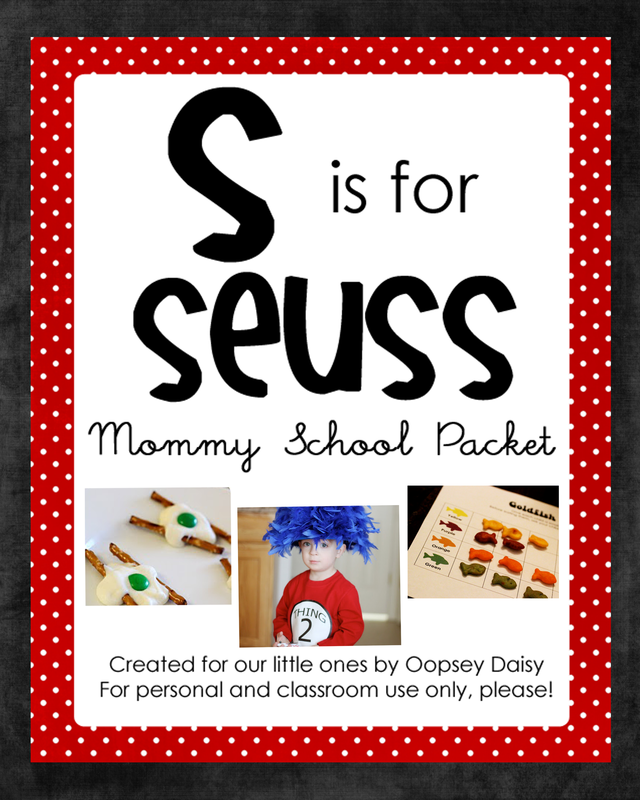 I shared your site with my daughter’s preschool teacher telling her about Mommy School. She was a happy camper! 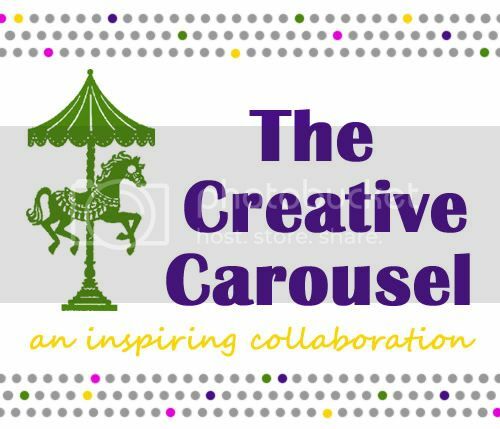 Thanks so much for the GREAT ideas & the time & effort you put into your blog. I’ve just signed up for your feed through My Yahoo. I LOVE the name of your blog. My aunt used to say Oopsie Daisy all the time!! I have had the same glasses for over 10 years. My eyesight as good as it was back then but I make do when I need to take my contacts out! It sure would be nice to upgrade! Be blessed! I’ve just like 39DollarGlasses on Facebook. That is quite a bargain!! I follow your blog via RSS feed. I think you blog is great. I just re-subscribed through RSS – so sad that GFC is going away 🙁 I feel like I’m starting from scratch!!!! 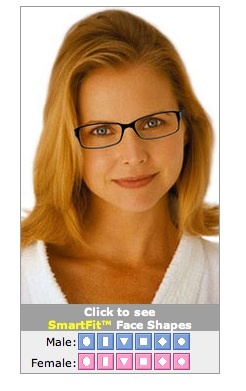 I am an email subscriber and follower and need new glasses! I liked 39 Dollar Glasses on FB! My husband has used them in the past and loved it! i am an email subscriber of your blog, and a fb fan! 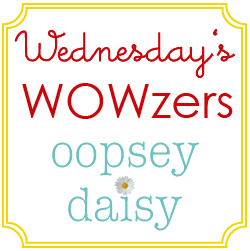 I follow Oopsey Daisey via email and love the posts. Thanks. I liked 39 Dollar Glasses on Facebook and I do. Thanks. I follow you via email. I always seem to choose my glasses over my contacts, and I would love a new pair! I follow you by email. My son is getting ready for a mission and needs new glasses! Thanks! Follow your blog through email. I follow you through google reader! And like them on FB! I liked 39 Dollar Glasses on Facebook. Ok… I liked $39 glasses on facebook, subscribed to your awesome newsletter and thanks for the giveaway!!!! I really hope I win!! I liked $39dollarglasses on facebook, I subscribe to your weekely blog, and I absolutely love your ideas! I have already done some of your activities with my little ones! I am also glad that you reviewed this website because I have considered using this before (I am a poor, poor english teacher!) but I worried that it was a scam! I desperately need new glasses, mine are over ten years old and my prescription needs to be renewed. I will get an exam and then order from this website! Please pick me!!! i follow your blog through my google reader !!! I liked 39Glasses on Facebook! I’m a follower of your wonderful blog through email! I’m following you via facebook.